Some districts started experimenting with webinars years ago in an effort to break down barriers to accessibility. Accessibility issues could be geography or simply the busyness of our lives. Webinars are a way for people to gather from disparate places. They allow people to participate virtually wherever there is an internet connection. Oo our Association’s five regions, three regularly offer webinars, and they are available for anyone to participate in regardless of their district/regional affiliation. 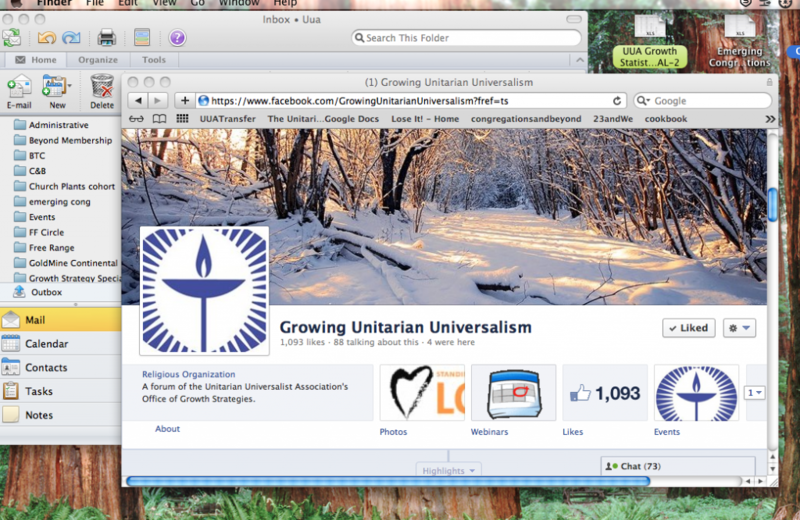 You can find a full calendar of webinars available through Growing Unitarian Universalist Facebook page. The picture below shows the Facebook page. Click on the calendar icon and it will take you to the webinar listings. (Yes, this calendar format is simple, almost to a fault, until a more sophisticated and comprehensive format comes along. But it’s a good start.) You can also go directly to the specific regional websites: Central Eastern Regional Group, Mid America Region, and the Pacific Western Region. Topics & Format: What is it you need to learn? Look through the descriptions to make sure the content is relevant to what you want to know. Is it an interactive webinar? Will you be able to discuss and ask questions in real-time? Or is it more like a one-way video? On that note, consider gathering your group to experience a video (presentations from General Assembly?) and then discussion with a (pre-arranged) phone/ video conference with the presenter or another expert on the topic. 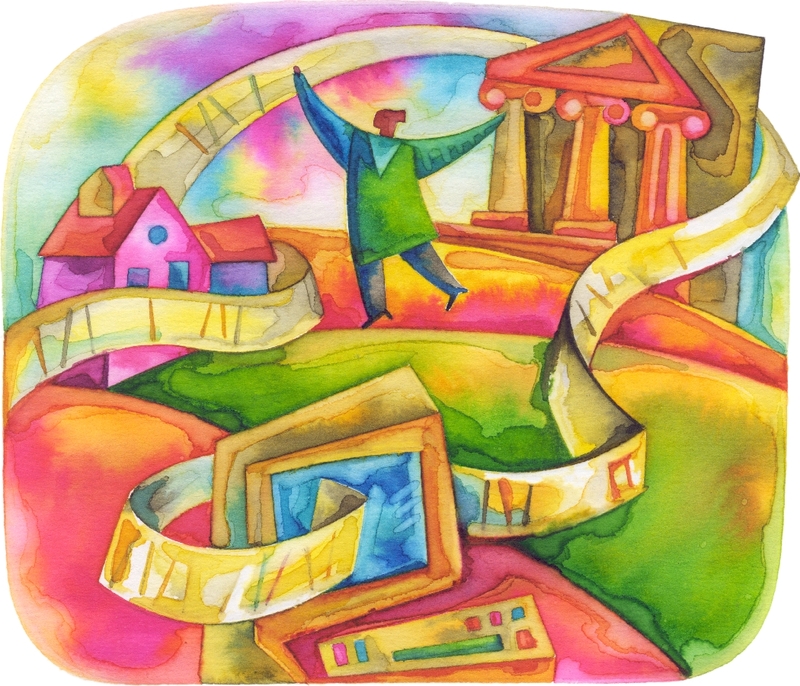 The Center for Progressive Renewal also has fabulous webinars and videos. Time Zones: Do be mindful of which time zone your desired webinar takes place in. Who Should Attend: Who in your religious community needs to be part of this conversation to ensure that the fullest strength of the learning experience can inspire and sprout change? Will they be willing and available to attend? Technical Check: Do you have access to everything you’ll need for a smooth experience? Occasionally you may be required to download an application in order to connect to your webinar. Plan on logging in 15 minutes prior to the webinar to ensure everything is working. Make Friends With Your Mute Button: Whether you are in a room with dogs, outside traffic or a fidgety group, it’s best to keep your phone muted unless you are talking. Avoid Multi-tasking: If you are on a computer by yourself, the temptation to check email while listening can be difficult to overcome. If you cannot keep your email off, at least keep yourself muted, as the sound of your tapping keyboard will let everyone know you are not paying attention. And outgoing/incoming email often has that lovely little chime give-away. Report Back: Let your religious community know that you sought out a learning experience on their behalf. Who within your leadership needs to know what information from the webinar? And what is the best way to convey that information? How are you going to keep the learning going? Ask for What You Need: If you don’t see what your group hankers to understand, please let your district/regional staff know. If you would like to see a specific webinar sponsored by your Growth Office, please drop me an email. 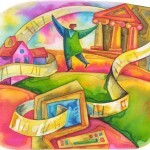 In my work, I have been recording webinars and posting them on the wiki. People that cannot attend find value in being able to get the information later. Are any of the district webinars recorded?